Orford’s Wildman has become a symbol for the small coastal village. He was a man of the sea who was pulled up by 12th century fishermen’s nets and held captive in the bang-new castle until he finally made his escape. He’s featured in the interpretation in the castle where his sad incarceration took place. There’s a memorial to him on the Market Square, and he features on the Butley Orford Oysterage and on Pinney’s as you walk down to the quay. There are also some suspiciously wild looking men on the font in St Bartholomew’s Church – though you can find them on many Suffolk fonts. But where did the story come from? 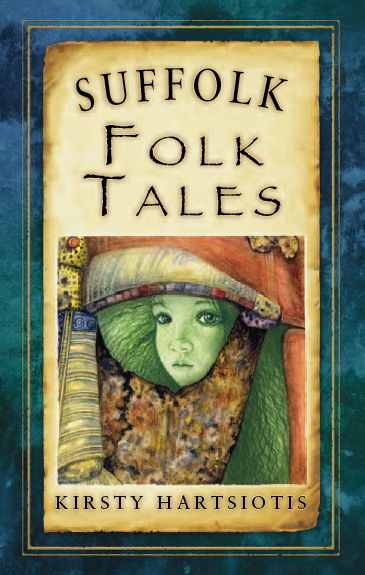 Three stories in Suffolk Folk Tales, the Green Children, Malekin and the Wildman of Orford, come from the same early source. 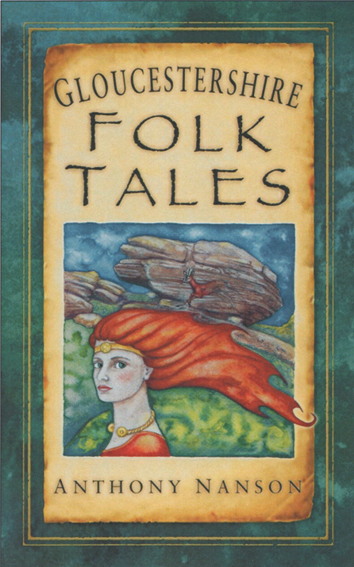 The 12th and 13th centuries provide us with a whole host of stories written down by monks either as chronicles of their monasteries, or as works in their own right. 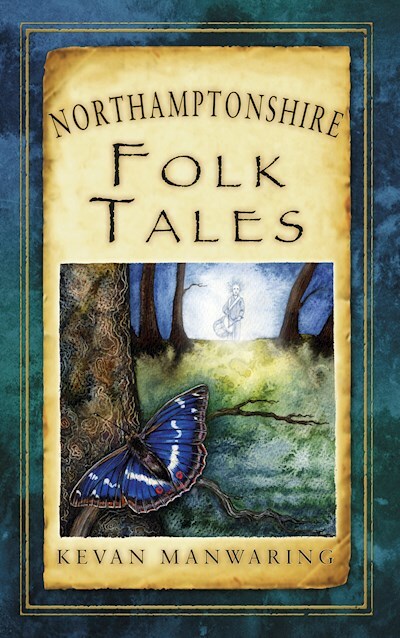 Geoffrey of Monmouth, Gerald of Wales and Gervase of Tilbury are well known for telling what we might now consider tall tales, and the three Suffolk stories are recorded by another monk – an abbot in fact. His name is Ralph of Coggeshall, and he was abbot of Coggeshall Abbey in Essex. You can find out more about him here. Wildmen are a common trope in the Middle Ages. These wild people, often called wodewoses (which seems to mean ‘wood-being’), have lived in the fringes of our minds since we first started writing stories down – and presumably were there long before that. Enkidu, the friend of Gilgamesh in the three and half thousand year old Mesopotamian epic is a wild man who lives amongst the beasts. Herodotus describes hairy men living in Libya, and they are often described by classical sources as living in India. Wherever they live, they are outside human conventions, no matter how quietly they live themselves, and are viewed with fear and fascination. One thing particularly distinguishes them from ordinary mortals: they are covered with hair from the top of their heads to their toes. The woods are places where civilised men don’t go – knights discover monsters and marvels in the woods in Arthurian romances. Holy fools like Percival grow up in the woods. Madmen run off to the woods in medieval literature – like Merlin in Geoffrey of Monmouth’s Vita Merlini, or King Suibhne in Ireland. Outlaws can live beyond the law in the woods. This is despite the fact that people in medieval England were using and managing woodland much more intensively than we do today for the basics of day to day life from firewood, to beechnuts, from the withies from pollarded willows to the hunting of deer in the king’s forests. The woods were really a familiar danger – and it’s still easy to get lost, disorientated and spooked in woods to today, as countless ghost stories, sightings of big cats and even wild men attest. You might ask what all this has to do with Ralph’s man from the sea. When the fishermen capture him, he is described as being extremely hairy, ‘in such abundance that it appeared dishevelled and shaggy; his beard particularly was thick and pine-like, and around his chest it was particularly hairy and shaggy.’ The ‘pine-like’ makes him sound a little strange, as if his hair is more like pine-needles, thicker and fleshier than human hair, perhaps better for living under the water. Ralph makes this strange creature like a wildman – like a woodwoses. He doesn’t speak, he doesn’t recognise Christian symbols. He is outside society – outside the law. To the people who lived by the coast in Suffolk the sea would have been as other as the woodland. It is wild and capricious, and as we know from Dunwich and the 1953 flood, can be incredibly destructive to the puny settlements of man. Nonetheless, it would have been the main source of livelihood and connection with the outside world. Like the woodland, it was vital but dangerous. How true is the story? Well, Ralph was writing around 30 years after the story was said to have taken place, in 1167. Bartholomew de Glanville was certainly castellan of the castle at that time. His family arrived in the area after the Norman Conquest, holding land in Norfolk and Suffolk. From 1169 to 1175 he was High Sheriff of Norfolk and Suffolk, and he oversaw the construction of the castle at Orford from 1167. Henry II built the castle at Orford in part to stop treachery by lords like Hugh Bigod who had fought against him and his mother during King Stephen’s reign – and with good reason, as Lord Hugh would rebel again in 1173! The keep would have been built first, and the mound on which it sits. So the castle we see now wouldn’t have looked so different back then. Habitable, but without its curtain wall. It immediately provided a beacon for fishermen and sailors alike, along with St Bartholomew’s (named for that castellan, perhaps?) which was begun at about the same time. I should note that Orford is very different now from how it was then – the lie of the land has completely changed. The castle was once about 2 miles inland, with marshy ground stretching out to the sea. Orford Ness probably didn’t exist – it has been growing since that time. Much of the woodland you see from the shore hadn’t developed as yet. 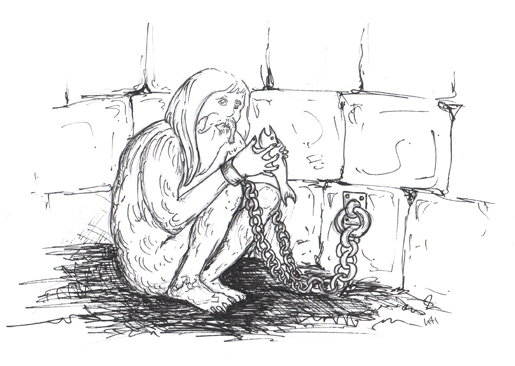 It is hard then to imagine the scene that the fishermen and Bartholomew de Glanville would have seen when you are there – and who knows whether the wildman could hear the sound of the waves from his lonely cell in the castle dungeons. 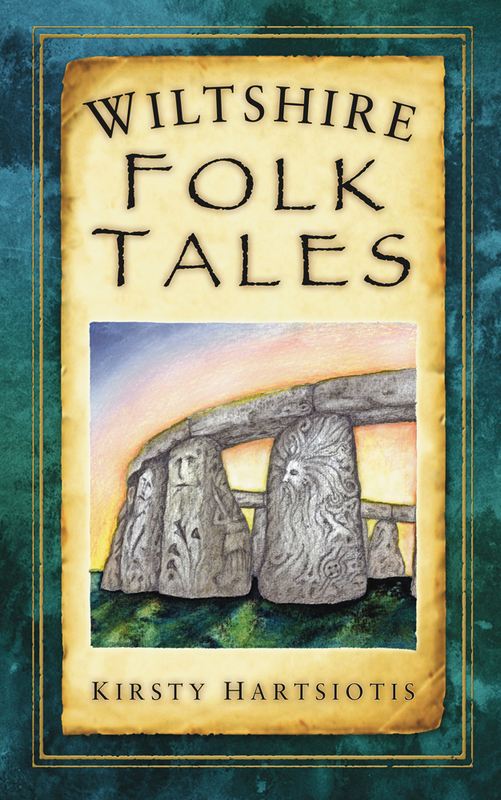 I was very lucky when researching my book as I really wanted to get to the bottom of the three tales, which meant going back to the original Latin in which Ralph’s book was written. My own Latin is not that strong – I only had the chance to start learning it when I was doing my Medieval Studies MA, so only had six-eight months of studying. Not enough to tackle anything more than passages from the Bible! Certainly not enough to get the fine detail out of the texts. But I was able to phone a friend… Getting hold of the text wasn’t easy. As a freelancer, I don’t access to the big university libraries where the text would be available, but I eventually tracked it down on the web in an old out-of-print book. I then dispatched the Latin off to my friend Monika Simon in Germany, who translated it back to me in English. Thank you so much, Moni! 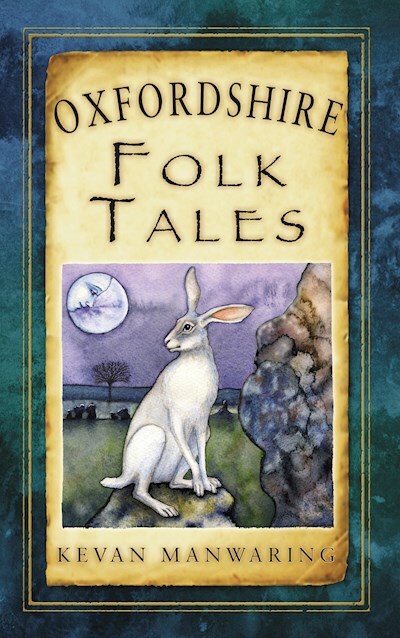 Folk and Fairy Tales from England, their history and meaning. By Kirsty Hartsiotis.